Gadget has been promoted to the rank of Lieutenant and recruited by the World Organization of Mega Powers (WOMP), an elite international peacekeeping organization whose goal is to defend humankind from the world's most menacing villains. 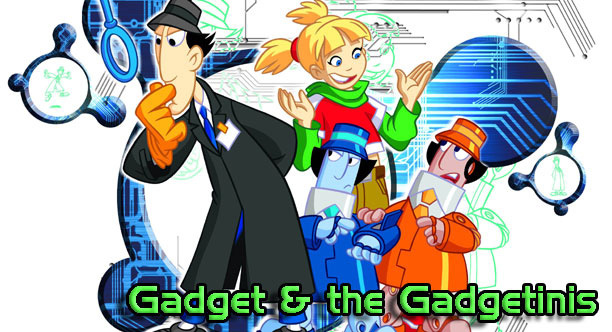 That may sound like a daunting task, but with the help of some new zany gadgets and a new set of assistants: the Gadgetinis - a team of pint-sized robotic versions of Inspector Gadget who are frequently the unintended victims of his bumbling, Gadget is still up to the task. 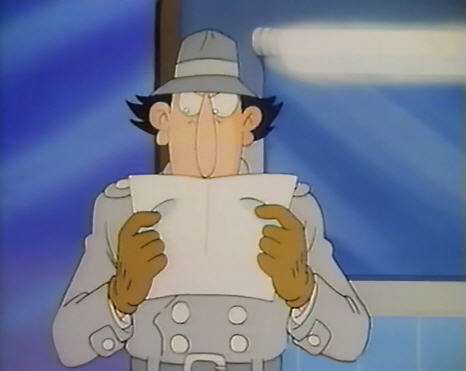 Now working for WOMP as a lieutenant, Gadget is still the same bumbling detective cyborg he was before, except he appears to have been "upgraded" with several new gadgets. He is often unaware of MAD interfering with missions, sometimes making it easier for them to continue with Dr. Claw's evil plans, but they are nearly always thwarted. Gadget may not be very bright, but deep down, he cares deeply about those he knows so well and will occasionally go to risky procedures to protect everyone and everything around him. 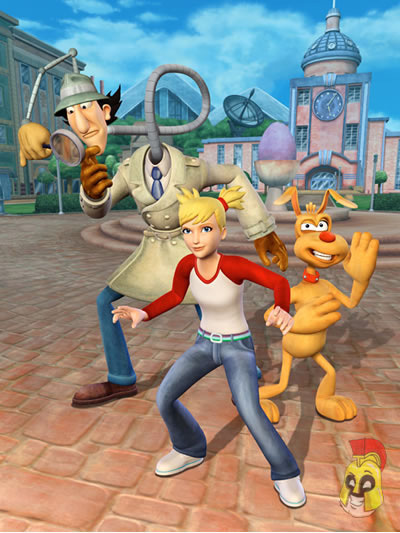 Gadget's appearance is somewhat different from his original self, as his hat and coat are now dark grey and his gloves are yellow. He is also seen wearing green sunglasses in most episodes. The Gadgetinis - Two small robots who resemble Gadget and aid him frequently on his missions. Fidget is the most easily spooked of the pair and is coloured orange. He secretly wants to be a human, and often makes complaints about body parts that he does not technically possess, being a robot. Digit is the smartest of the Gadgetinis and is a navy blue colour. He usually corrects Fidget about being a robot and not a human, and is often sarcastic. Gadget's niece who is now aged 12 and creator of the Gadgetinis. Despite not always partaking in missions, she often contacts her uncle and the Gadgetinis to offer advice and information from home. She usually does this from the attic, using her computer and many other hi-tech tools. Like her original self, Penny still wears her hair in pigtails, except a little higher and while she originally had green eyes, they are now blue. While nobody had anything against Penny's use of her gadgets in the original series, the people in this show nitpick Penny for being interested in computers (in "One Too Many Gadgets," a flight attendant takes away Penny's crime laptop, and in "Weekend At The Beach," Penny's friend Bridget criticizes Penny for "playing with computer games" when she was actually using her communication watch). Another member of WOMP from France and former member of the French Foreign Legion, Col. Nozzaire (often mistakenly pronounced "Nose-Hair" by the others) cannot stand Gadget and his silliness, and constantly tries to partake in missions himself, only to get captured by MAD, badly injured or never getting to go on missions at all. Leader of WOMP. He is the one who assigns Gadget with missions, much to the disgust of Nozzaire. Leader of MAD and Gadget's unseen enemy. Unlike the original you can actually see his feet and torso from time to time, his gauntlets are now gold with black joints and knuckles, and with the MAD logo printed on them. Instead of banging his hand on his desk he now scratches the arm of his chair when angered. 1 Don't Call Me Gadget! © Toonfind.com. All Rights Reserved. Toon Find is a cartoon database. This website is non-commercial and only for entertainment. All other names and trademarks and copyrights on this page are owned by their respective owners.